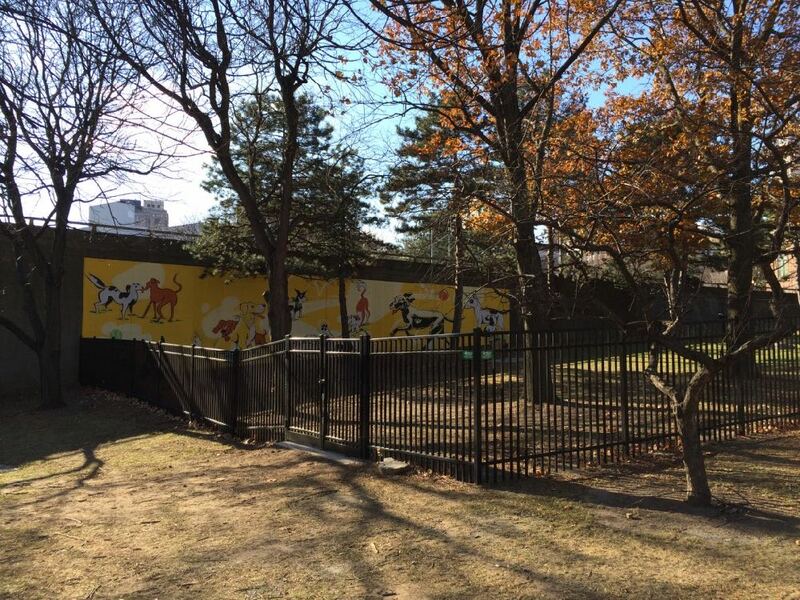 The dog park is the work of the Downtown Albany Business Improvement District, which planned and funded it. The BID worked with the state (which owns the land) and the city of Albany (which maintains the park) to make it happen. The total cost of creating the park was $60,000, according to BID executive director Georgette Steffens. Most of that money to went to the decorative metal fencing that encloses the space. Steffens said the upgraded fencing was important for blending in with surrounding architecture. 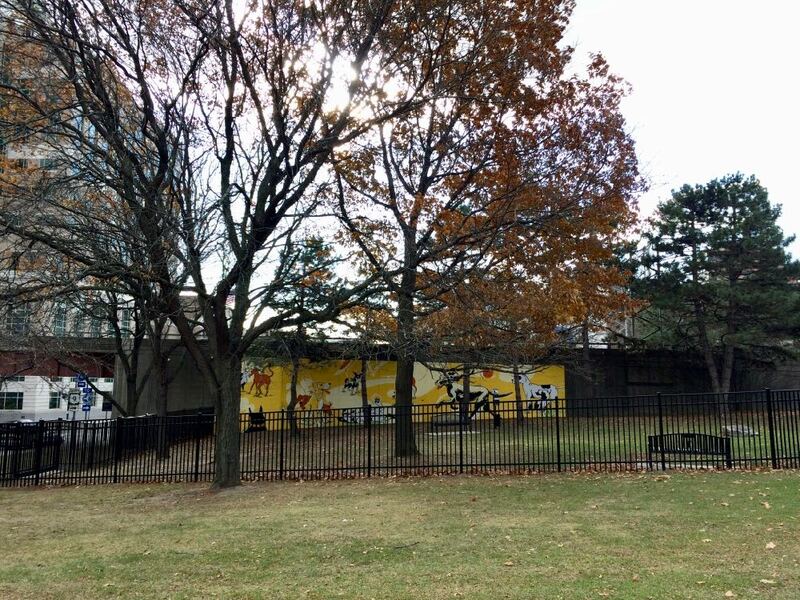 "Our goal was to the match the aesthetic of downtown," she said Wednesday of the fence. 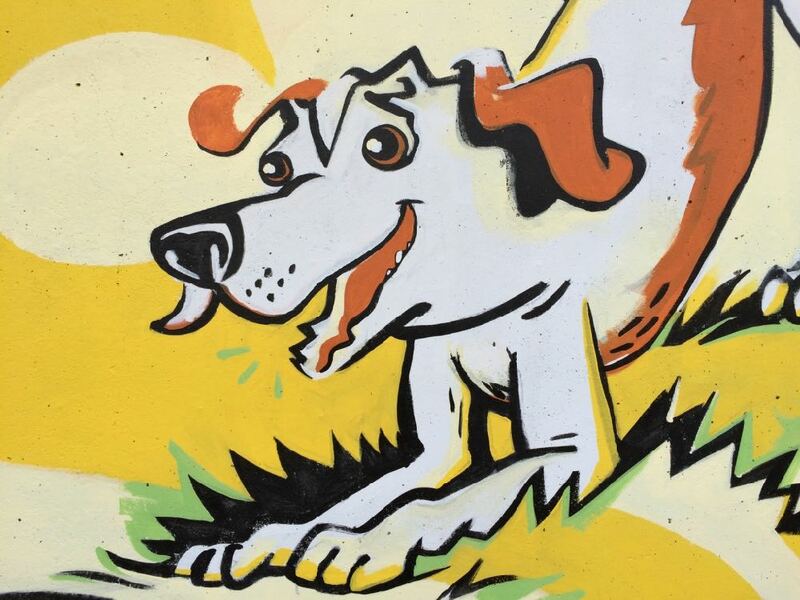 One planned element that didn't make it in was a drinking fountain for dogs. Steffens said some underground electrical and fiber optic cables prevented in the installation of the necessary water infrastructure. 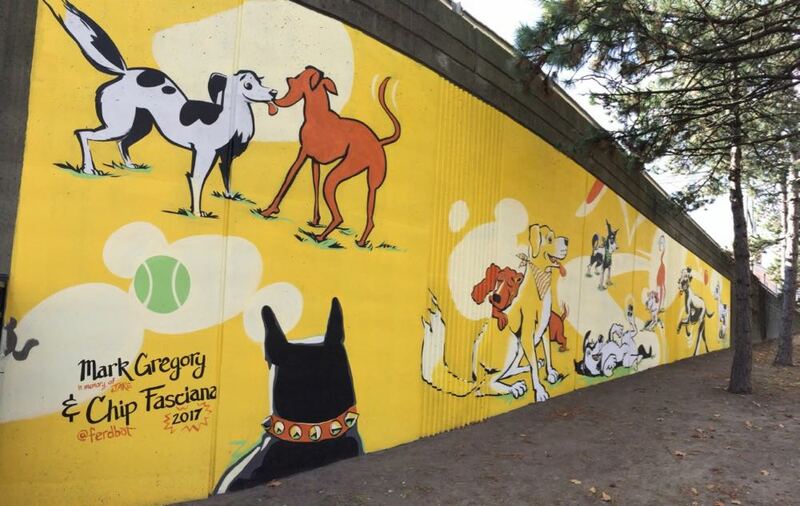 But that left money for the mural on the wall of the on-ramp, which was created by local artists Mark Gregory and Chip Fasciana. Downtown Albany has been adding a lot of residential units in recent years, and Steffens said the change has been very noticeable of late. So one of the goals in creating the park was to create an amenity for people to visit and meet each other. "I think this will build a community and connect the people who live here," said Steffens, noting that people often end up getting to know each other through their dogs. Going forward, Steffens said the city will be maintaining the park day to day, taking care of tasks such as mowing. 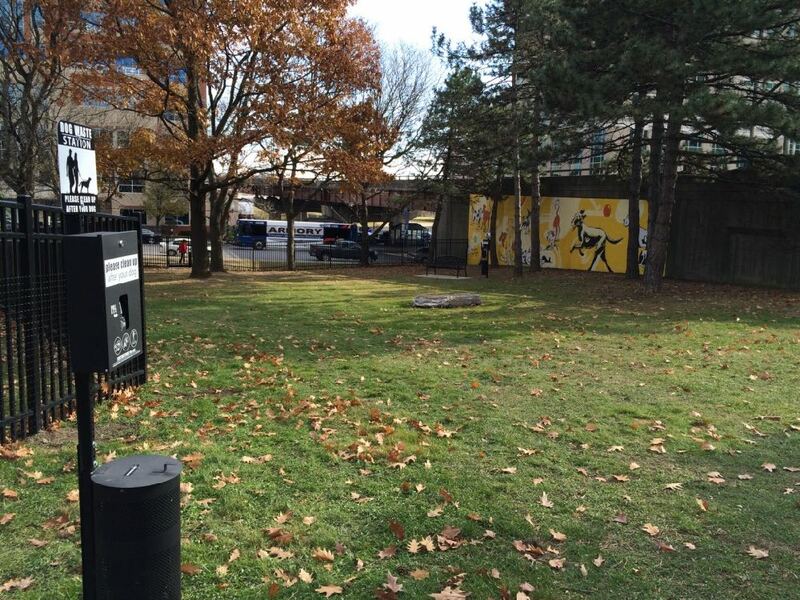 The BID will be responsible for larger items like replacing benches or fencing. 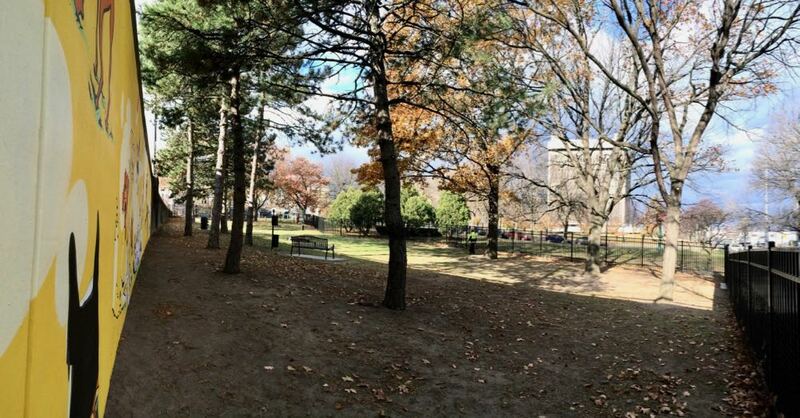 "It's really a city park that we implemented," she said. The official opening of the park is Wednesday, November 29 at 4:30 pm. Following at 5 pm there's a fundraising reception at the Olde English to benefit the Mohawk Hudson Humane Society. LOVE that mural! Excellent work, Messrs. Gregory and Fasciana. How high is the fence and is it double gated to prevent escapees? Probably not open dusk til dawnâ€”maybe dawn til dusk instead. 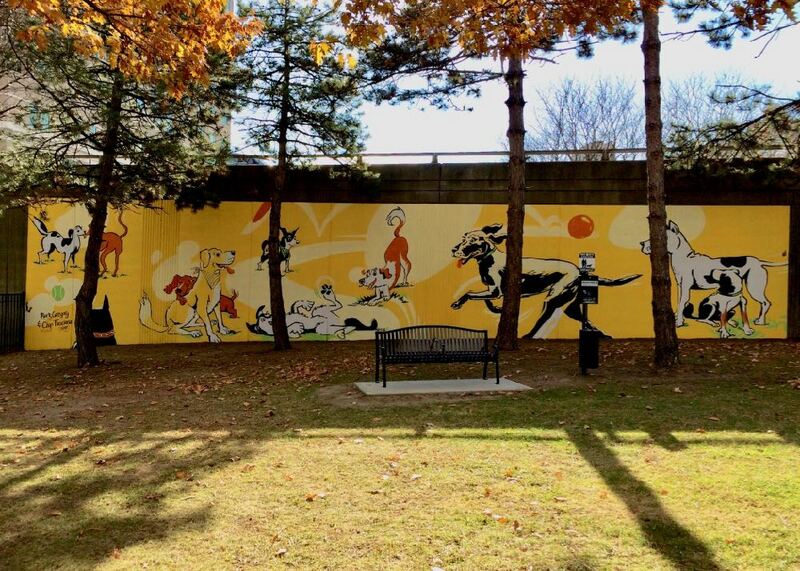 Great use of that park space and another new mural - bravo Albany! I walked down this evening to scope it out and it was locked up. I understand why, with no lights, but hoped it would be open since the official opening was at 4:30 and it was already dusk. Should have checked in advance for the hours. Greg, you wrote that it's open dusk to dawn, I expect you meant the opposite. Hopefully no vampires! @JT - It was hard to see much in the dark. It looked like there was in fact a double gate, on the end by Pearl Street, near the Nipper statue. I didn't make much note about the height of the fence, but I'd say it's around 6 feet. I thought it was taller than me (6') but in the photos it doesn't look much more than that. Ann: You're correct. Fixed. Thank you. 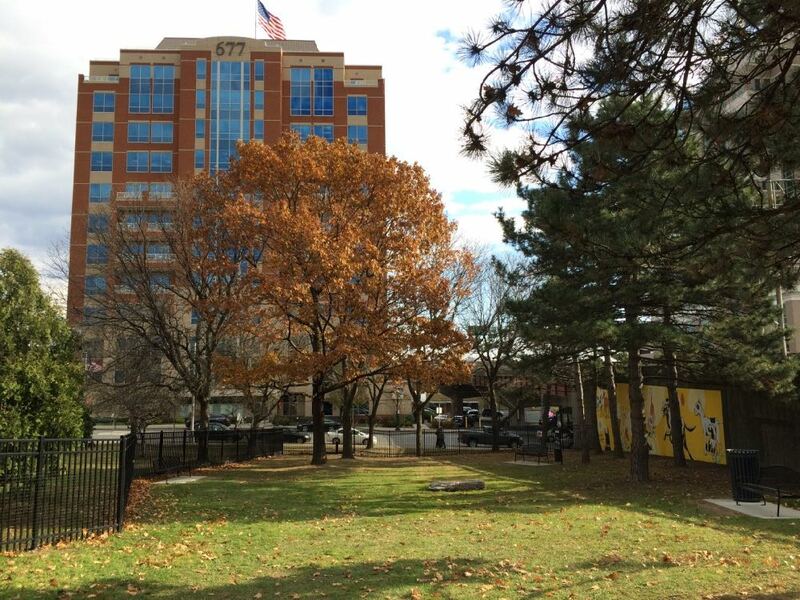 JT: The fence is roughly six-feet tall and there is a double gate at the entryway on the Pearl Street side. @Jeffrey: For what it's worth, I couldn't work the latch on the gate Wednesday until someone showed me. You have to reach in through the gate and lift up on the top part of the latch. It's kind of confusing.